The CDC has quietly published a controversial review of perfluoroalkyl substances, or PFAS, that indicates more people are at risk of drinking contaminated water than previously thought. A major environmental health study that had been suppressed by the Trump administration because of the “public relations nightmare” it might cause the Pentagon and other polluters has been quietly released online. 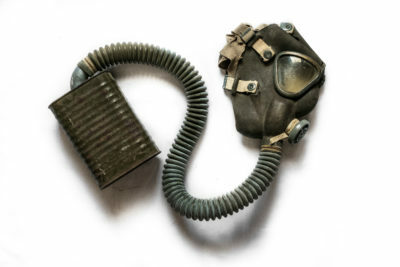 The U.S. Centers for Disease Control and Prevention published the controversial 852-page review of health dangers from a family of chemicals known as perfluoroalkyl substances, or PFAS — manmade chemicals used in everything from carpets and frying pan coatings to military firefighting foams — on its website this morning, and will publish a notice in the Federal Register tomorrow. The study upends federally accepted notions for how much of these chemicals are safe for people — recommending an exposure limit for one of the compounds that is 10 times lower than what the U.S. Environmental Protection Agency has maintained is the safe threshold, and seven times lower for another compound. The stricter exposure thresholds are similar to those established by state health agencies in New Jersey and Michigan. All told, the report offers the most comprehensive gathering of information on the effects of these chemicals today, and suggests they’re far more dangerous than previously thought. 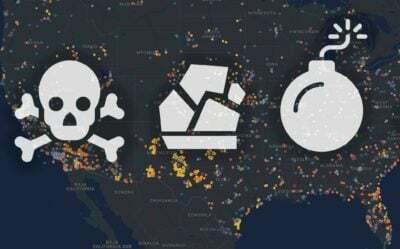 PFAS compounds are proving to be pervasive in public water systems and around military bases across the country. The report describes health effects associated with exposure, including cancer, liver damage, decreased fertility, increased risk of asthma and thyroid disease in humans. Notably, it describes how daily consumption of extremely low doses of the chemicals appeared to have an effect on rats and mice tested in labs — including delayed eye opening in newborns and lower body weight, as well as changes to brain activity and skeletal composition. The CDC assumes that humans are more sensitive to the effects of substances than animals in setting limits. The report also expanded the focus of research from the two most well-known PFAS chemicals to include 12 others. In 2013, the EPA began temporarily monitoring public drinking water systems across the country for PFAS compounds under the Safe Drinking Water Act. The agency found that the two most common PFAS compounds were present in roughly 1 percent of the nation’s public water supplies, affecting roughly 100 different municipalities. Harvard researchers, in a 2016 study, estimated that, based on that data, some 6 million Americans got their drinking water from sources that exceeded the EPA health guidelines. Lower guidelines — as are suggested in the report released today — would mean many more people are at risk. The Department of Defense, which faces extensive contamination risk at more than 600 military sites in the U.S. where the chemicals were used in firefighting foam, reported to Congress earlier this year that at least 126 drinking water systems on or near military bases were also contaminated. As evidence of contamination mounts, the questions of what these chemicals do to people’s health and how much exposure they can tolerate have lingered, which is why the CDC’s report has been so eagerly anticipated. Elsie Sunderland, a professor at Harvard University, said there are more than 4,000 different types of PFAS chemicals, and scientists are just beginning to understand their effects. The CDC report only addresses a tiny fraction of the compounds produced, and the chemical industry uses new compounds to replace the old ones on a regular basis. “People call it chemical whack-a-mole,” she said. Last month, the Union of Concerned Scientists obtained EPA emails — which were first reported in Politico — describing a government effort to withhold the CDC report because it was widely expected to raise a “potential public relations nightmare” about the dangers posed by PFAS chemicals. White House and EPA officials, in the emails, discussed how the release of new information could be particularly inconvenient for the Department of Defense, which already faces significant cleanup costs related to the PFAS compounds, but could see those costs substantially increase if the chemicals turned out to be even more dangerous than previously thought. Several members of Congress have since demanded the release of the report, and the EPA earlier this month held a summit meeting in Washington, D.C., with scientists and officials from federal agencies to consider next steps in addressing the PFAS concerns. That meeting was notable because several news organizations were excluded or forcibly removed from the room.